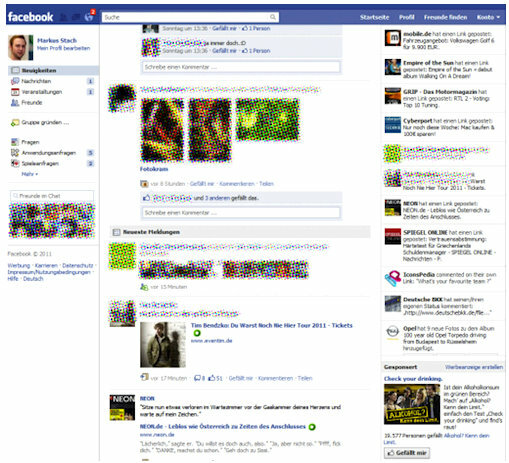 Facebook has been testing out some new designs for your homepage. One of the main features that Facebook has been looking at is separating the scrolling of your news feed from the rest of the homepage. As it is now, when you scroll down your news feed, the right hand side bar scrolls with it. This means, especially for Facebook’s ad revenue, that the ads on the right are only visible on the page until you scroll through approximately the first six items in your news feed – then the ads disappear. More than just ads however, a separate scrolling of your news feed would also allow apps and the top navigation to remain visible. According to ZDNet, the new design could theoretically increase click through rates for advertisers, improve user retention for applications, and save you the hassle of scrolling back to the top of the page for top navigation links. Facebook has also been testing out a new feed addition called happening now. According InsideFacebook, happening Now could give users a snapshot of more than 10 stories about friends before they even scroll beneath the fold of the news feed, decreasing the bounce rate. For now, though, the ”test includes a small percentage of Facebook users, just a fraction of a percent”.